5G Fixed Wireless Services - Why is there a buzz?! 5G technology comes with a lot of promises, especially the wide array of 5G use cases - Fixed Wireless Services, being one of them. With Verizon launching their fixed wireless service (aka 5G Home) for residential customers and AT&T outlining their 3 pillars strategy for business (fixed wireless being one of them), there is more focus on "5G based Fixed Wireless Services". If this is the first time you are hearing the term "Fixed Wireless Service", it means providing Internet service to customers by deploying a Customer Premise Equipment (CPE) which connects to the 4G or 5G tower over wireless. You can plug-in your computer, television etc., into the ethernet ports in the CPE to access Internet or connect over WiFi. Fixed Wireless Services have been offered by service providers for a long time. However, they were mostly based on 4G network - with limited speeds. For ex., AT&T's fixed wireless service based on 4G network supports upto 10 Mbps speed. However, with 5G technology being deployed rapidly in US by both AT&T and Verizon, there is a lot of hope on 5G based Fixed Wireless Services. Why is there a lot of focus on 5G based Fixed Wireless Services? 5G supports up to 1 Gbps speed - which is more than adequate for a small / medium sized business or an average house hold. Verizon is officially supporting 300 Mbps speed, as part of their initial launch, on the Verizon 5G Home. Customer's bandwidth needs can be easily met with 5G based fixed wireless services. Fixed Wireless Services help service providers like Verizon to compete against the cable service providers such as Comcast. Both AT&T and Verizon have a lot of fiber foot print in US - and fiber is very critical for 5G infrastructure. This enables both AT&T and Verizon to directly compete with the cable service providers, with 5G based fixed wireless services. Verizon is rolling out 5G based fixed wireless services today in cities, where they don't have Verizon FiOS broadband offering. So, it helps them to create a new market, acquire new customers and generate new revenue stream. 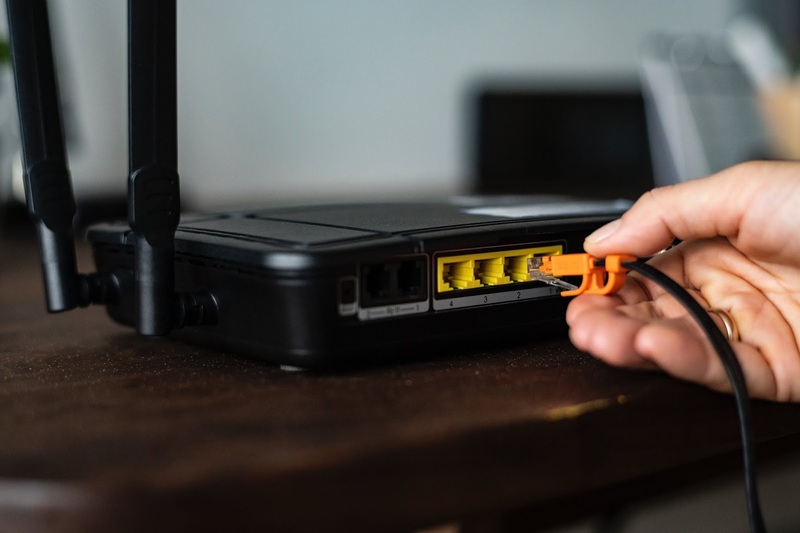 The time taken to activate a Fixed Wireless Service is much lesser when compared to the time it takes to provide a cable connection or a fiber based Internet service. For example, a Fiber based Internet service would require the service provider to dig the lawn, lay fiber and then connect the home to the Internet. This process would easily take anywhere from 4 - 6 hours, for the installation. On the contrary, for a Fixed Wireless Service, all that you've to do is just install a 5G modem that connects to the 5G small cell tower over wireless. When the service providers have a lot of 5G towers deployed, installing the 5G Fixed Wireless modem may atmost take an hour for the technician. Verizon & AT&T has a lot of technicians who go to the customer's premise to install their Fiber based Broadband Services. This brings-in a overhead for the service provider - they've to schedule the installation jobs in advance, customers have to wait for the technician to visit their homes and if the technician couldn't install the service on the same day, the job has to be rescheduled to another day. This process increases the operational costs for the service provider and impacts the customer experience. With 5G based fixed wireless services, as the technology matures, Verizon can just ship a customer premise equipment to the customer and the customer has to just mount it on the wall and power-it on to get 5G based Internet services. This would significantly reduce the service activation time and improves the customer experience dramatically. 5G based fixed wireless services are still in the early stages of deployment. The critical success factor for providing fixed wireless services is the availability of signal coverage, that supports 5G speeds. It would take at least a year or two for service providers to reach the stage, where they can start supporting fixed wireless deployments in large numbers.